However, our experience is that there’s still doubt about the future of digital newspaper publishing and which digital publishing platform is the most beneficial to focus on. 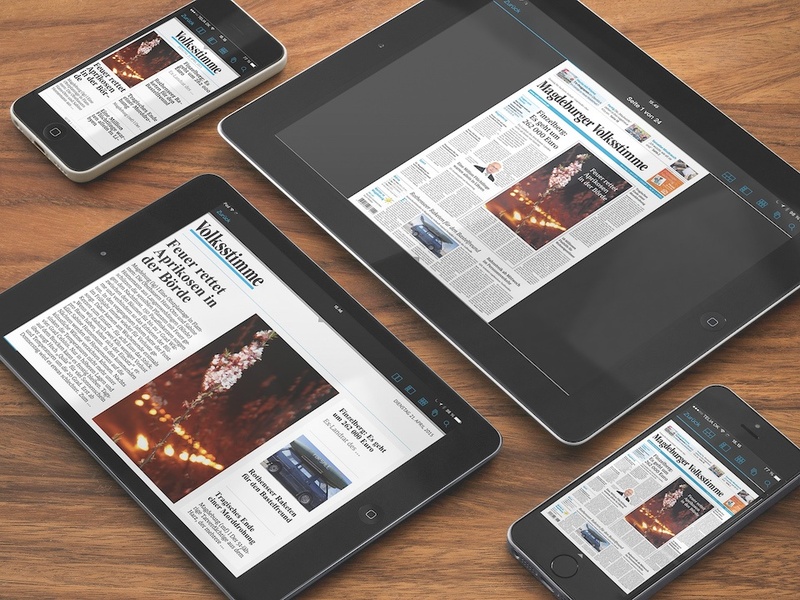 Is the future in digital newspaper publishing happening on desktop, tablet or phone? According to the ‘World Press Trends 2015 Report’, released by the World Association of Newspapers and News Publishers (WAN-IFRA), the newspaper industry is still larger than the film, music and book-publishing industries. More than two billion people read the newspaper in its good-old paper format, while approximately 800 million people read it digitally. An eye-catching trend noted in the report is that young people continue to seek news on a daily basis, and many of them are even willing to pay for good content. The latter is further substantiated in a recent study by AudienceProject, which claims that the future of Paid Journalism is the "Millenials". This information is interesting, as it contradicts ‘traditional’ wisdom. For some time, the industry has been worried whether young people would want to read news at all. However, it doesn’t come as a surprise that the internet is a first-choice source when this audience is interested in reading the news. This generation was raised in a world that had already accepted the internet as the obvious place to find information. So, is the fact that young people do read news and favour online distribution an indication that they’ll favour reading newspapers on digital platforms in the future? Distributing newspapers through a digital publishing platform gives media companies an excellent opportunity to attract readers and to increase revenue, which is done through advertising and through the analyzation and interpretation of the subscribers’ reading habits. Nevertheless, the big question is: which platform should media houses be focusing on in order to attract more readers – tablet, desktop or smartphone? To get an impression of which platform is most commonly used for reading a digital newspaper, we crawled through the Google Analytics data of 119 of our solutions. The results are shown in the illustration below. The pie-chart illustrates a general picture of the findings from all 119 paid digital publications as of March 2018. At first sight, this shows that tablet is ‘king’ for ePapers - accounting for more than half of the publication downloads. But we see a changing tendency when comparing to 2015, where Visiolab (now Visiolink Business Consulting) conducted a similar study (Note: only included 20 titles). Back then, the tablet accounted for 70 percent while only 18 percent of the publication downloads were on phone, and 12 percent took place on desktop. So, it's fair to say that smartphones are as a matter of fact on the rise. 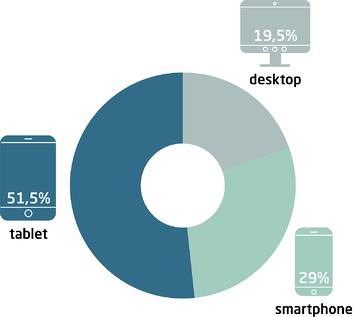 Today, it's almost a third of the publication downloads that are made using a smartphone. As mentioned earlier in this blog post, the Millenials may very well be the future of paid journalism. But it's commonly known that this segment - with people born between the early 1980s and the early 1990s - is one that the media have some trouble attracting. This is substantiated in our latest European ePaper Benchmark Report, which shows that the average ePaper reader is close to 60 years of age. While only a tenth of the respondents were below the age of 45. What characterizes this segments though, is that they are particularly fond of using their smartphones for reading the digital newspaper as illustrated in the graph below. There isn’t necessarily one precise answer to the question: which digital publishing platform is the future for digital newspaper distribution? Tablet is still clearly a favourite, but does this mean that media houses shouldn’t focus on other platforms? Well, the immediate answer is no: publishers should definitely focus on more than one platform - especially given the fact that smartphones are steadily gaining ground as the preferred reading device. The question, rather, is how to prioritise one’s focus. 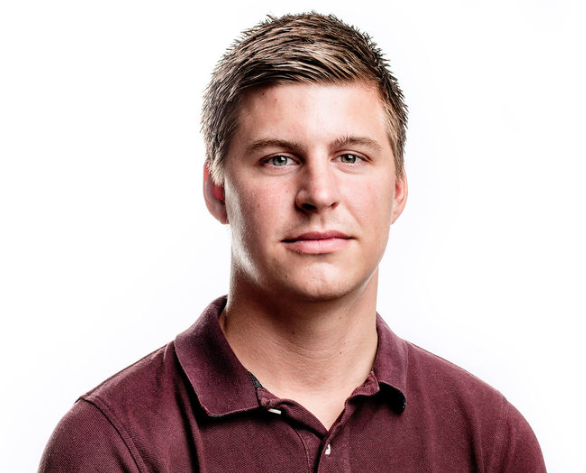 The best way to do this is by testing reader behaviour and act upon it - just like Danish newspaper Ekstra Bladet did. By implementing a cross-platform business model, you have the opportunity to increase the number of readers by up to 38 percent, thereby increasing your revenue. The only thing this requires is that your content is present on all platforms: tablet, smartphone and desktop. Click on the link below if you’re interested in reading more about your readers' habits in the latest European ePaper Benchmark Report. Or subscribe to our newsletter to receive news and insights about how we can help you attract more subscribers to your newspaper. Also, you're always welcome to contact us if you're interested in more information about the many advantages of digital newspaper publishing and data collection.